Jill Fikowski, MPH, CCRP, is the Clinical Research Manager for the BC Centre on Substance Use (BCCSU). She oversees operations of clinical studies and evaluations taking place within the BCCSU. Jill has worked in substance use and mental health research for over 10 years across various health authorities, with local community and non-profit agencies, and in partnership with local Indigenous communities. In these roles, Jill has contributed to the development of local and provincial policy documents and evidence reviews in the area of substance use. 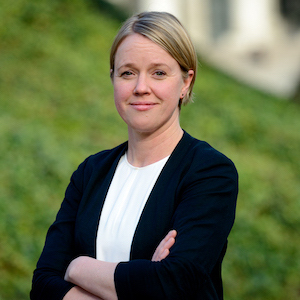 Jill has also worked on various clinical trials and projects taking place in Vancouver’s Downtown Eastside community, including the SALOME injectable opioid trial and the CEDAR Project, which examined HIV and HCV vulnerabilities in Indigenous youth. As Clinical Research Manager, Jill also manages the implementation and conduct of the OPTIMA trial, the first national-level trial under the Canadian Research Initiative in Substance Misuse (CRISM). For most of her professional research career, Jill has worked with people who use drugs, facilitating access to studies for new and innovative treatments for substance use disorder and mental health. She is committed to ensuring the effective translation of research evidence into public programs and policies that aim to reduce health inequities and increase access to treatment services for people who use drugs.